I was recently running tail -f on a log file of a server that was running, trying to diagnose a bug, when I accidentally bumped the keyboard and typed some characters. They got mixed in with the output of the log, with no way to tell which was which. I have had similarly annoying things happen to me countless times, and I'm sure it has happened to many other people here. So my question is this: why does the shell (or terminal, or whatever is doing it) ambiguously mix keyboard input with command output? I am not asking for a practical solution to an immediate problem. I can maybe figure out some way to make the shell run stty -echo when a command is run and stty echo when it finishes. But I want to know the rationale behind designing the terminal like this. Is there some practical purpose? Or is it something done only for compatibility reasons, or something that wasn't given much thought at all? The terminal accepts input at any time, and buffers it until an application reads it. More than that, when the tty is in cooked mode, the kernel buffers whole lines at a time and provides some rudimentary line editing functionality that allow you to kill the entire buffered line (default binding Ctrl-u and backspace. During the time that the line is being entered and edited and until you press Enter, applications reading from the terminal read nothing at all. The tty functionality in the kernel does not and can not know if and when an application like tail is planning to produce output on the terminal, so it would not be able to somehow... cancel (?) line editing during such times and only during such times. It is worth mentioning that less +F somefile provides similar functionality to tail -f somefile except that (accidentally) typed keystrokes will not echo to the screen. Yeah, but less not only prevents those characters from being echoed, but it also eats them, so they are not available to the next application that wants to read them! In historical times (before my time!) 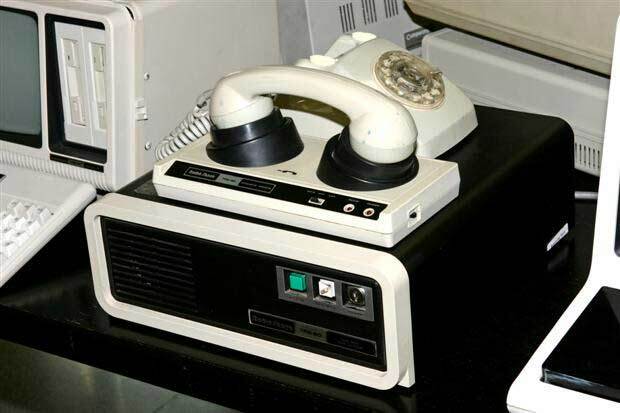 terminals with local echo were common. That is, the terminal (usually in hardware) would echo the characters you typed locally while also sending them down the serial line. This is useful for giving the user quick feedback even if there was lots of latency over the conection to the UNIX system (think 300 baud modem dialing up a terminal server with auto-telnet to a slow UNIX system over a token ring network — or whatever). If you have a terminal with local echo, then you want stty -echo at all times on the UNIX server to which you are connected. The result is approximately the same as a terminak without local echo (the common kind today) and stty echo enabled. So from that point of view, stty echo's job is to echo charatcers immediately as soon as they are received, regardless of what software is running, in emulation of what would happen on a terminal with local echo. zsh will apply the specific settings (by calling stty) and restore them when the command terminates. Of course, you'll probably only want to do that for applications that don't read from the tty device. Not the answer you're looking for? Browse other questions tagged shell command-line terminal stty or ask your own question. How is the display updated when the erase character is typed in a terminal emulator? Why do the terminal attributes look different from outside the terminal? Is it the terminal or the shell that is responsible for actions of keystrokes?